LIMA, Peru — It was a national scandal. Peru’s then-vice president accused two domestic intelligence agents of staking her out. Then, a top congressman blamed the spy agency for a break-in at his office. News stories showed the agency had collected data on hundreds of influential Peruvians. Yet after last year’s outrage, which forced out the prime minister and froze its intelligence-gathering, the spy service went ahead with a $22 million program capable of snooping on thousands of Peruvians at a time. Peru — a top cocaine-producing nation — joined the ranks of world governments that have added commercial spyware to their arsenals. The purchase from Israeli-American company Verint Systems, chronicled in documents obtained by The Associated Press, offers a rare, behind-the-scenes look into how easy it is for a country to purchase and install off-the-shelf surveillance equipment. The software allows governments to intercept voice calls, text messages and emails. Except for blacklisted nations like Syria and North Korea, the is little to stop governments that routinely violate basic rights from obtaining the same so-called “lawful intercept” tools that have been sold to Western police and spy agencies. People tracked by the technology have been beaten, jailed and tortured, according to human rights groups. Targets identified by the AP include a blogger in the repressive Central Asian republic of Uzbekistan, opposition activists in the war-ravaged African nation of South Sudan, and politicians and reporters in oil-rich Trinidad and Tobago in the Caribbean. TALAVERA, Peru (AP) — Johnny Vega rarely carried his 9-mm pistol when he wasn’t on duty. He wishes he had that day. The narcotics cop was chatting with a friend on a park bench, the Andean sun burning the dawn’s chill off this highlands town nearly 10,000 feet above sea level. On that morning of Aug. 20, 2014, Vega had dropped his son Juan at nursery school and then walked to Talavera’s main square. He noticed a tall young man strolling by and wondered if he knew him. Vega was a rarity in this nation where cops, courts and congress are badly compromised by corruption . An earnest provincial narcotics officer, he had made a career of actually doing what he was trained for: locking up criminals. 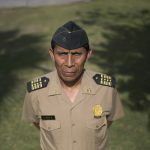 Defying death threats from narcos, he led a hand-picked team of trusted officers who consistently scored trafficker arrests and record drug seizures even as Peru became the world’s No. 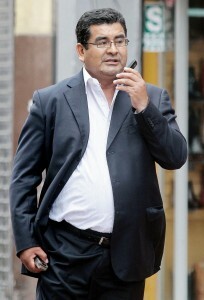 1 cocaine producer. In a country where police are as likely to take bribes as to make arrests, Vega was a hero. Three times, he had been named police officer of the year. Vega was deep in conversation when the young man walked by again, stopped and leveled a silencer-equipped Bersa at the cop’s head. “What are you doing, dammit!” Vega shouted, jumping to his feet. The bullet ripped into him just below his solar plexus. Without hesitating, he dashed for a nearby taxi stand, leaning forward and zig-zagging to make himself a smaller target. Eight days after we published my investigation on how more than a ton of cocaine was being flown daily out of the world’s No. 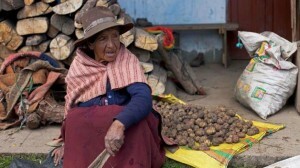 1 coca-producing valley right under the Peruvian military’s nose, we have a significant development. For the first time in more than a decade, an officer of Peru’s armed forces has been arrested for drug trafficking. An army lieutenant, he had worked in the valley for eight years and collected bribes of $10,000 per flight that likely were shared with his superiors, the prosecutor told me. That’s the same sum that an accused narco pilot had told me local military commanders got per plane. My months of reporting were now being substantiated by events. Intercepted phone conversations made it clear that Lt. Wilmer Eduardo Delgado Ruiz was the bag man. Or rather his wife was, as the money was transferred into her account. Former Peruvian army Maj. Evaristo Castillo, who blew the whistle on military drug trafficking in the 1990s, says drug corruption is _ as it was then _ systematic in the military, as top to bottom as the command structure. One arrest is no guarantee of a housecleaning. Just ask Castillo. None of the generals he publicly denounced for drug trafficking was ever convicted of it, he told me. Castillo’s military career was wrecked because he blew the whistle, was disloyal. He spent seven years in exile. And, as one of his four sons (also Evaristo), told me, their hopes of following their father into the service were also extinguished. 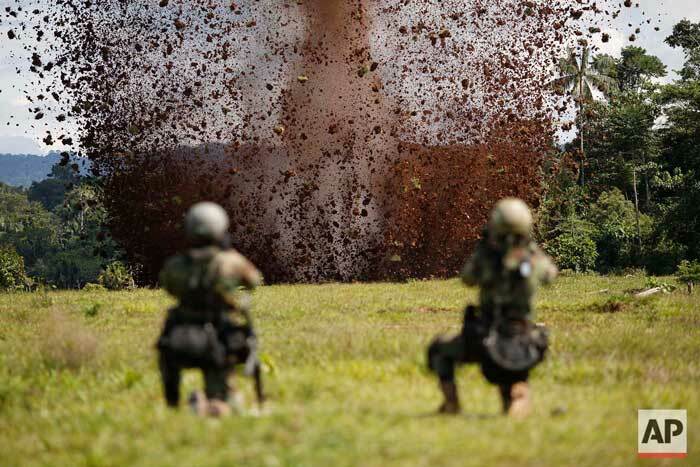 MAZAMARI, Peru — Peru’s defense minister has announced an investigation into possible drug-related military corruption following an Associated Press report that Peru’s armed forces were turning a blind eye to daily drug flights to Bolivia. The official, Jakke Valakivi, said Wednesday evening that the Defense Ministry and the joint armed forces command would jointly conduct the probe. Peru’s armed forces have failed to effectively impede the ferrying of more than a ton of cocaine a day to Bolivia from the world’s No. 1 coca-producing valley, traffic that has picked up in recent years, according to prosecutors, drug police, former military officers and current and former U.S. drug agents. In part because of that nearly unhindered air bridge from the Apurimac, Ene and Mantaro river valley, Peru surpassed Colombia in 2012 as the world’s top cocaine exporter. MAZAMARI, Peru — It happens about four times a day, right under the nose of Peru’s military: A small single-engine plane drops onto a dirt airstrip in the world’s No. 1 coca-growing valley, delivers a bundle of cash, picks up more than 300 kilos of cocaine and flies to Bolivia. Roughly half of Peru’s cocaine exports have been ferried eastward on this “air bridge,” police say, since the rugged Andean nation became the world’s leading producer of the drug in 2012. Peru’s government has barely impeded the airborne drug flow. Prosecutors, narcotics police, former military officers and current and former U.S. drug agents say that while corruption is rife in Peru, the narco-flight plague is the military’s failure because it controls the remote jungle region known as the Apurimac, Ene and Mantaro river valley. 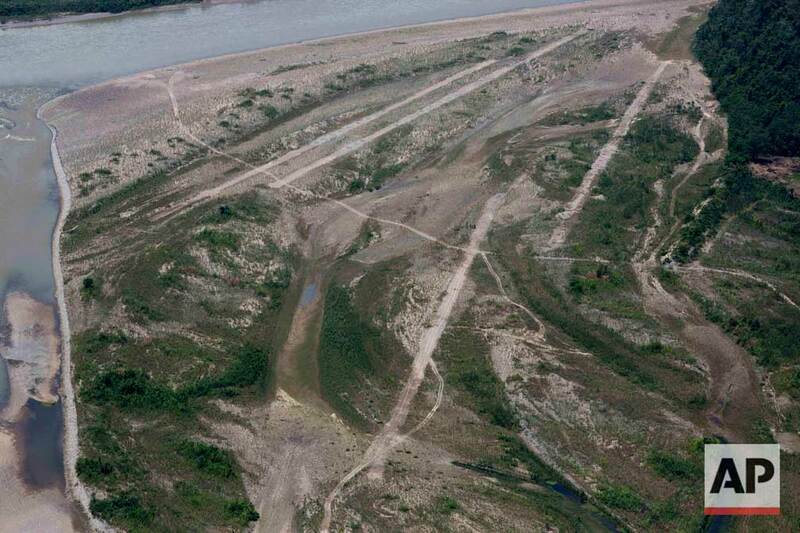 An Associated Press investigation found that “narco planes” have been loaded with partially refined cocaine at landing strips just minutes by air from military bases in the remote, nearly road-less valley where about two-thirds of Peru’s cocaine originates. Most businesses are closed the day before Peru’s Independence Day so it’s a good time to issue a decree that you’d rather people not scrutinize. Except what’s becoming known as “The Stalker Law” is getting plenty of attention. Taking advantage of special powers conferred on his government by Congress, President Ollanta Humala decreed on July 27 that police can track people’s location in real time using their cell phone signals. No warrant necessary. Telecoms need to hold onto the data for three years. Crime is getting bad, after all. The Electronic Frontier Foundation’s Katitza Rodriguez wrote that it provides the cops with “detailed footprints of our daily lives.” Most people don’t realize how much data their cellphones collect about them minute by minute. And even if they disable ¨location services¨ on their cellphone, they can´t turn off location tracking. It’s build into the wireless network. Rodriguez says the surprise decree follows a global pattern of governments encroaching on their citizens’ digital privacy with limited debate. The government, observed Miguel Morachimo, director of the Peruvian digital rights NGO Hiperderecho, tried to accomplish something similar three years ago in legislation that failed. Now it has achieved what it could not democratically: “To bypass all Peruvians’ right to privacy.” He’s thrown down the gauntlet in this post (Sp.). Another digital rights legal expert, Erick Iriarte, considered the decree not very well thought out (Sp.). It lets judges retroactively declare inadmissible the geotracking information, which includes who you talked to, where you were, physically, the time and duration of the call. But what happens to the information collected. Can Peru’s police be trusted with it? President Humala, his Cabinet chief and the ministers of interior and justice signed the decree. No debate in Congress. 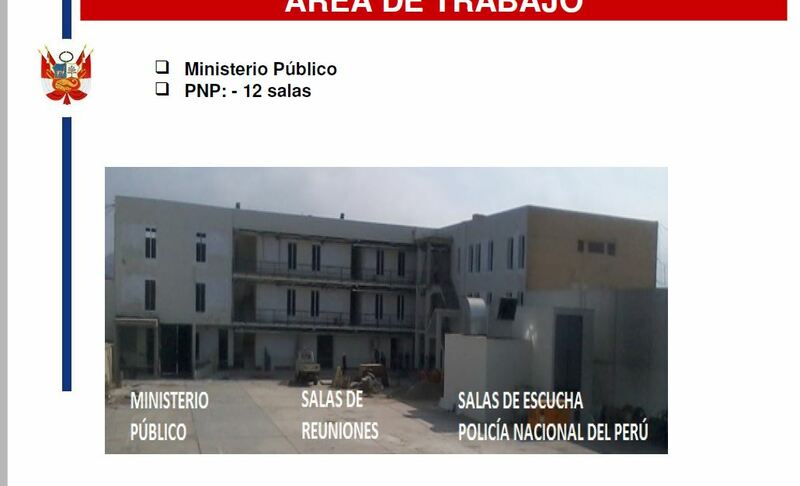 The same day, a different decree was issued creating the crime of ¨murder-for-hire” in Peru’s legal code. Humala enters his last year in office as very much the lame duck and with crime worsening. His approval rating in last weekend’s GfK poll was 15 percent. HUANTA, Peru (AP) — He slides two T-shirts, shorts, canned tuna, toasted corn and boiled potatoes into the rucksack atop 11 pounds of semi-refined cocaine. In a side pocket, a .38-caliber Chinese pistol. Mardonio Borda is a 19-year-old native Quechua with broken Spanish and a sixth-grade education. But he has at least $125,000 worth of drugs on his back that he will carry out of Peru’s main coca-growing valley. He is among untold hundreds of cocaine backpackers who make the difficult and dangerous trek up Andean mountain paths first carved by their pre-Incan ancestors. In this country that overtook Colombia in 2012 as the world’s No. 1 cocaine-producing nation, Borda regularly hikes within a few hours of the Machu Picchu tourist mecca, bound for Cuzco with drugs. Sixty percent of Peru’s cocaine comes from the remote Apurimac, Ene and Mantaro river valley, and the backpackers trek for three to five days to deliver cocaine to traffickers who move the drugs on for export. But it is not the lung-searing ascents to high altitudes that worry the young men. It is the armed gangs, crooked police, and rival backpacker groups who regularly rob cocaine’s beasts of burden on journeys that can extend 100 miles (160 kilometers) or more. Hauling cocaine out of the valley is about the only way to earn decent cash in this economically depressed region where a farmhand earns less than $10 a day. Beyond extinguishing young lives, the practice has packed Peru’s highland prisons with backpackers while their bosses evade incarceration. It is a big business. Roughly one third of the 305 metric tons of cocaine that the U.S. government estimates Peru produces each year travels by foot. 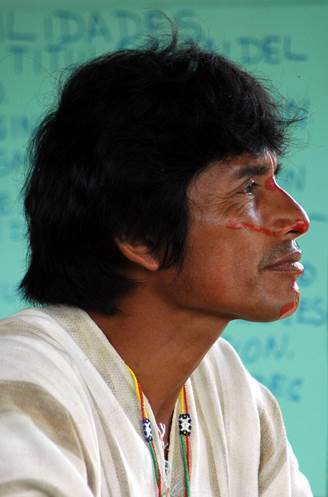 LIMA, Peru (AP) _ An outspoken Peruvian opponent of illegal logging and three other native Ashaninka community leaders were shot and killed in the remote region bordering Brazil where they live, villagers and authorities said Monday. The activist, Edwin Chota, had received frequent death threats from illegal loggers, who he had tried for years to expel from the lands for which his community was seeking title. Illegal loggers were suspected in the killings, said Ashaninka regional leader Reyder Sebastian. Pervasive corruption lets the loggers operate with impunity, stripping the Amazon region’s river basins of prized hardwoods, especially mahogany and tropical cedar. Chota and the others were apparently killed on Sept. 1, the day they left Saweto, the village he led on the Upper Tamaya river, to hike to a sister Brazilian Ashaninka community, said the village schoolteacher, Maria Elena Paredes. When the men did not show at the Brazilian village, worried comrades who had traveled ahead of them returned and found the bodies — apparently killed by shotgun blasts — near some shacks on the Putaya river, Paredes said. She said by phone that vultures had begun to feed on the bodies, which were found a six-hour walk from the 45-inhabitant village. CHIMBOTE, Peru (AP) — One by one, the senior officials from the capital took the microphone and apologized to an auditorium packed with angry people who had long been living in fear. The officials admitted they had failed to prevent a political murder foretold by its victim. Their integrity was in doubt. Peru’s chief prosecutor, comptroller and the head of Congress’ investigations committee, which was now holding a public hearing, had all ignored evidence that Ezequiel Nolasco, now murdered, had thrust in their faces for months. Having survived a 2010 assassination attempt after he denounced government corruption, Nolasco had repeatedly warned that his home state, Ancash, was run by a criminal syndicate that plundered the treasury, killed people it couldn’t buy or intimidate, wiretapped foes and used police as spies and journalists as character assassins. 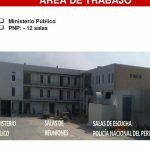 A gunman finished the job on March 14, pumping five bullets into the former construction union leader when he stopped for a beer heading home from Lima to this coastal city that is home to nearly half of Ancash’s 1.1 million people. Ancash was living under the ironclad rule of a governor locals compared to U.S. mob legend Al Capone, his political machine allegedly greased by tens of millions in annual mining revenues that had made Ancash Peru’s richest state. SAN ANTONIO DE JUPROG, Peru (AP) – The Marzano-Velasquez clan lived a simple, pastoral life on a mountain that turned out to hold the world’s largest known copper-and-zinc deposit. They didn’t expect riches when they and dozens of other Quechua-speaking families sold out to an international mining consortium. But they did believe the open-pit Antamina mine would lift their long-neglected highlands district from poverty, provide steady jobs, decent health care and schools. Maria Magdalena Velasquez, who could not read or write, signed away her family’s land with a thumbprint in 1999. She and her kin looked on as hired hands dismantled their homes on windswept moorlands before trucking the families down to the adjacent valley — their sheep herds, fields of potatoes, oats and alfalfa abandoned. Twenty years ago, this rugged, mineral-rich Andean nation bent over backward to attract multinational mining companies, and became Latin America’s undisputed economic growth leader. While colossal copper, gold, lead, tin and silver pits helped Peru’s economy more than double in size, the people in the rural highlands that they dominate have been largely left behind, battling one environmental disaster after another as expanding mines contaminated their water, air and livestock. Promises of steady work and modern benefits remain mostly unfulfilled. Instead, across Peru’s mine-pocked highlands, lax government regulation and frustration has led to a growing fury of protests. In 2012, security forces shot and killed eight people protesting against two of the country’s biggest mining projects. In April, Peru counted 81 active environmental disputes between mines and neighbouring communities, according to the national ombudsman’s office.